We&apos;ve seen the guys at Bodega take on the Night Sky. Now Mita takes a stab of their own. The Japanese sneaker shop has been known for their sick collabs and again, they don&apos;t disappoint. 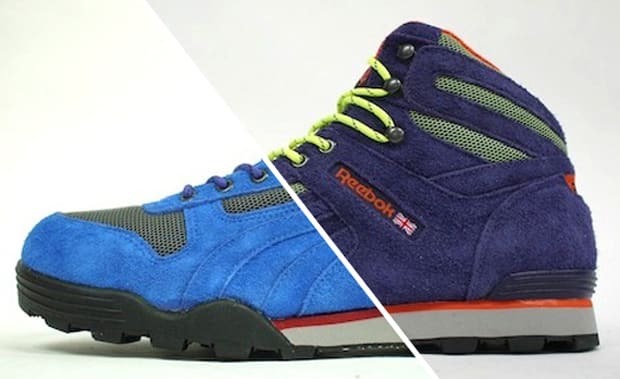 Mita took the Reebok Night Sky Mid, a light-weight hiking boot, and dropped it in two interesting colorways. The limited edition shoes will be available in purple/light-green/orange and blue/red color schemes. And even though the shoe is crafted for the outdoors, this duo is geared towards the city-folk. The mid-top is detailed with suede and mesh and accompanied with some nice multi-colored laces. You can expect these to be available in early July at select retailers and of course, Mita.